It seems the tough streets of Philadelphia were too much for a friendly little robot from Ontario. 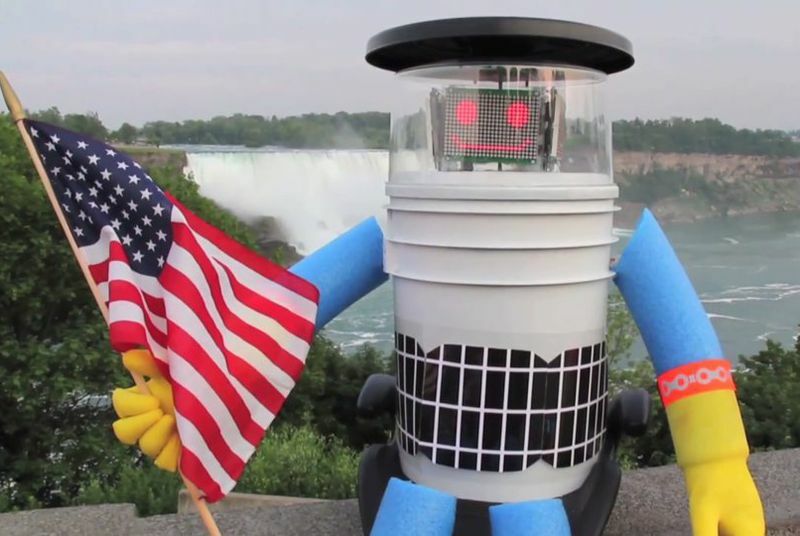 All the Hitchbot wanted to do was see the United States. But just two weeks after starting its cross-country journey in Boston, Hitchbot’s trip has come to an unfortunate end. Last night, the cute little robot was vandalized and apparently decapitated in the city of brotherly love. It’s a particularly unfortunate end for Hitchbot because the friendly little guy relies on human kindness. See, it can’t move on its own; all it can do is recognize human speech and communicate. It also posts updates to social media thanks to a wireless connection.